Dzongsho Deshek Dupa, a hermitage important in the ecumenical Rimé movement. In addition to working on TapAMap, I also have a project of locating Tibetan monasteries. 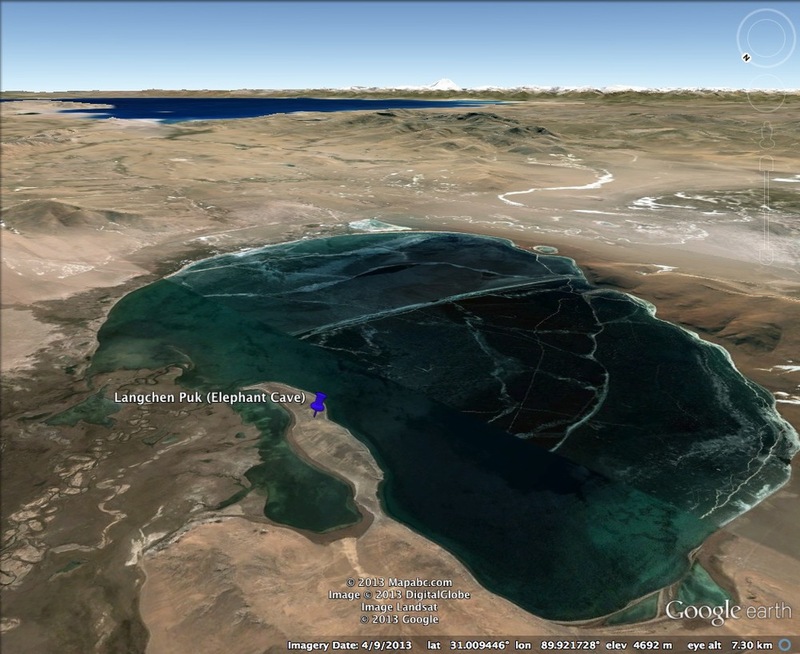 It began as a virtual trek through Central Asia using Google Earth. When I reached the eastern Tibetan regions of Amdo and Kham (through which I hitch-hiked in 1991) I began stumbling across monasteries, clearly visible because of the arrays of prayer flags festooning nearby hillsides and outcrops, as well as by rows of chörtens (stupas) and ornate yellow roofs. Some speculative regions of the ancient kingdom of Zhang Zhung, based on the work of Namkhai Norbu and John Vincent Bellezza. The quest to identify them led to an ever-deepening trove of resources, many of which listed other monasteries. Eventually, armed with lists, sources, maps, lamas' blogs and travelers' photos, I began going county by county through Kham, pinning sites. These searches deepened my knowledge of the history and traditions of Khampa Buddhism. I was especially taken with the 19th-century Rimé movement, an ecumenical revival in which scholarly lamas from different schools collected and exchanged each other's lineages. Chokyi Nyima, one of the great great grandsons of the 19th-century Nyingma/Kagyu tertön Chokgyur Lingpa, one of the three leaders of the Rimé movement. Jamgön Kongtrül (1813-1899), Jamyang Khyentse Wangpo (1820-1892), and Chokgyur Lingpa (1829-1870) were the leaders of the Rimé movement in Kham. The Dzogchen lineages of the Nyingma school attracted my curiosity, especially the stories of tertöns, or treasure finders who unearthed hidden texts guarded by female deities known as dakinis. The great, great grandsons of Chokgyur Lingpa, the pre-eminent tertön of the Rimé movement are among those who today are cultivating the great cross-cultural exchange between Tibetan sciences of the mind and western philosophers and neuroscientists. Dzogchen is considered a uniquely Tibetan (i.e., not necessarily transplanted from India) practice which was incorporated by the later Buddhist schools. As such, it is also the ultimate practice of Bön, Tibet's indigenous religious tradition, one which has often suffered sectarian persecution. 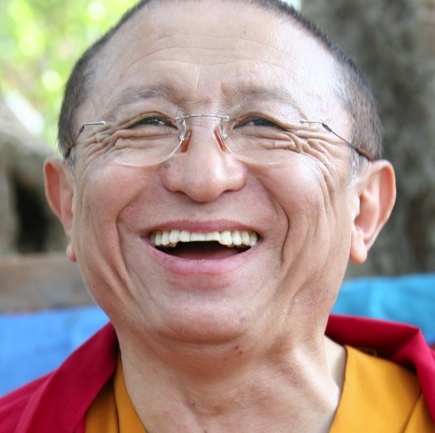 Fortunately, the Rimé movement gave non-Bön scholar lamas the space to explore Bön’s role in developing the practice of dzogchen. Langchen Puk is the hermitage cave where Bön master Yongdzin Lopön Tenzin Namdak Rinpoche meditated with his teacher in the late 1940s. One day at UCLA’s research library I came across a reference to a “Guide to Bönpo Pilgrimage Places” with a map. I requested it from special collections, only to find it printed in Tibetan, including the pictorial map. It had become clear that it was time to learn Tibetan, at least enough to read place names. My project of locating special places hidden in Tibet’s endless ridges and valleys has been a labor of love and a deeply gratifying intellectual journey. So I am very grateful that it has led fortuitously to collaboration with the Harvard Tibet Map project. I was able to help find a few printeries that were added to the map in the spring of 2013. My locations of Bönpo monasteries in the Tibetan Autonomous Region and Nepal are set to be added soon. I am hoping to find the support needed to continue contributing further locations for Kham. Bön sites in the Tibetan Autonomous Region, a draft map of the locations I contributed to the Harvard Tibet Map.